In my rush to get down two flights of stairs and around the house, I forgot to take a flashlight — or rather, the thought occurred to me but I decided there wasn’t time to look for one. Of course, once outside I regretted that decision. Usually, there is some light coming from somewhere but this particular night, it really was pitch-black. There was no way I could have found Charlie, but fortunately Charlie, probably attracted by my uncertain stumbling around, came to check on me. 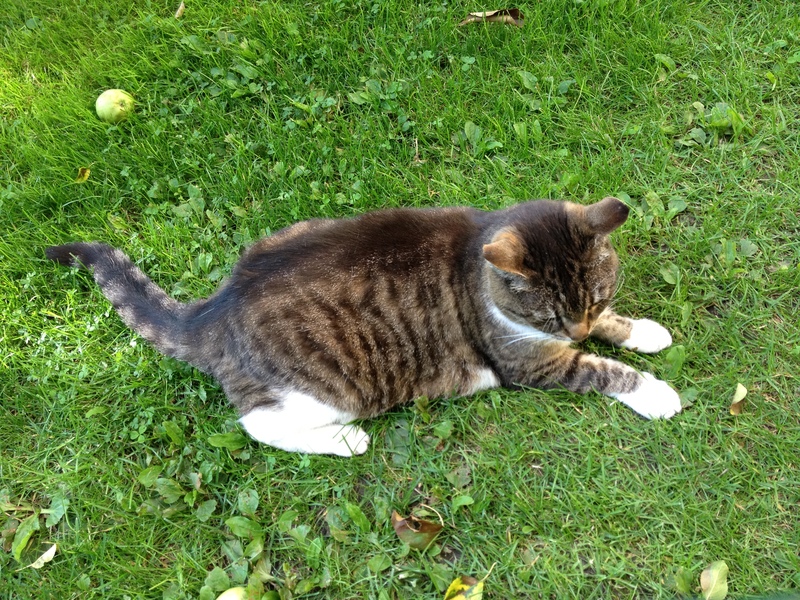 Once mutually assured that we were both ok, I retraced my steps along the garden path and — almost, almost, almost — stepped on a hedgehog that had hunkered down there, probably waiting for both Charlie and me to go away. 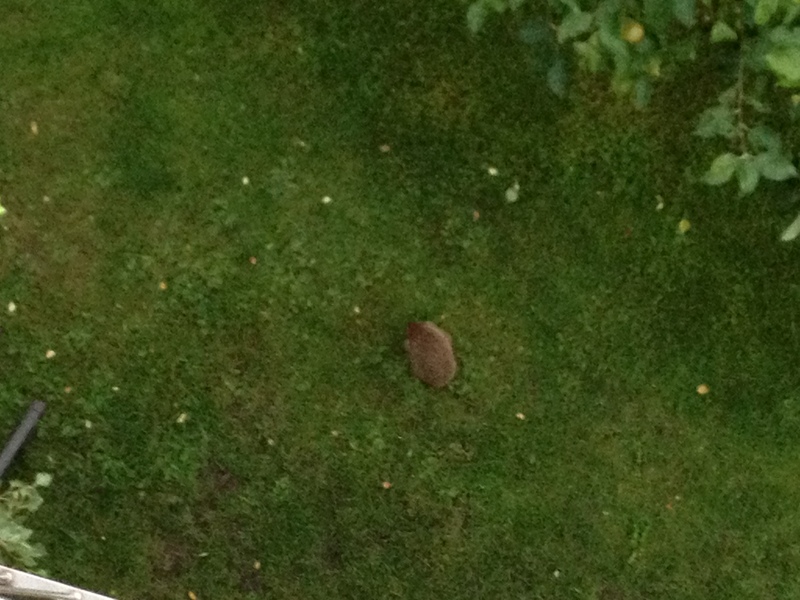 Obviously not a photo taken that night but possibly the same hedgehog. Instead, curious about what I was looking at, Charlie came running. Wanting to save her from getting a bloody nose and the hedgehog from having a heart attack, I grabbed her and took her inside with me to give the hedgehog time to get away. 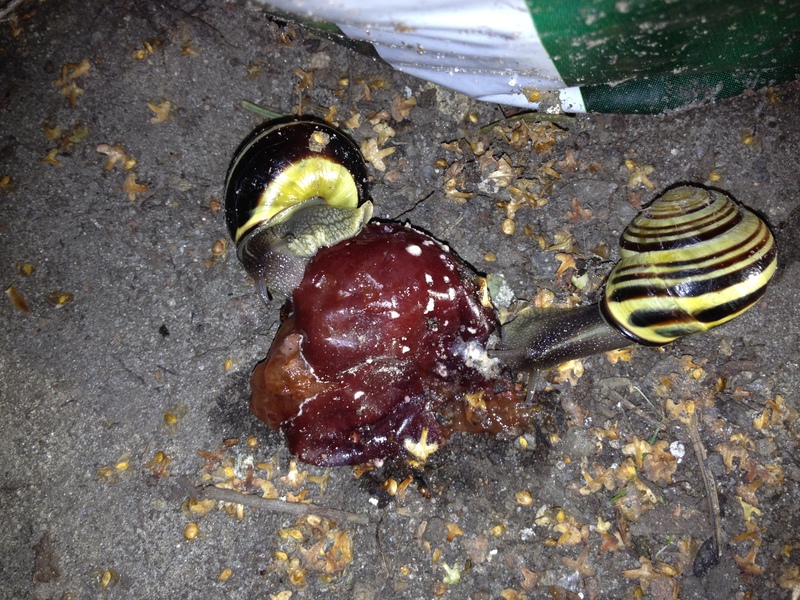 Flashlight-lit snap of snails having a midnight snack (a squashed plum fallen off our back neighbour’s tree). Watch out for that hedgehog, guys! 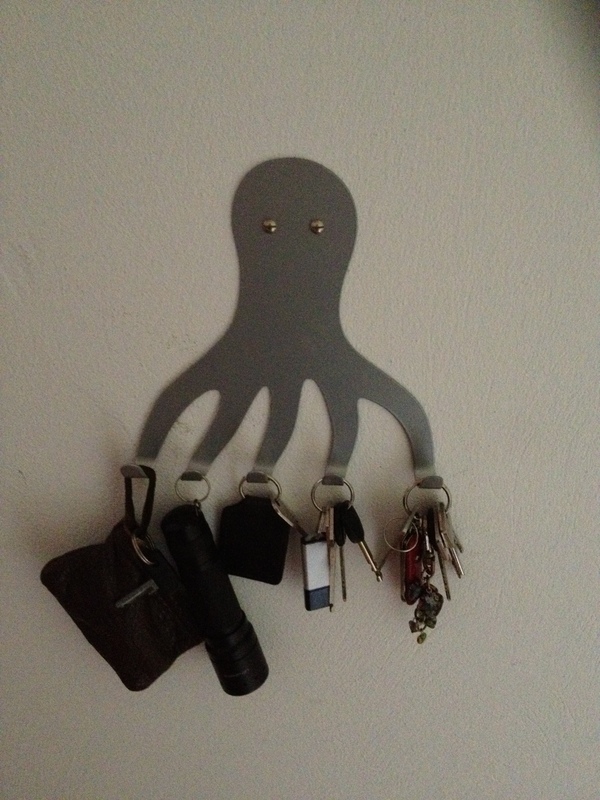 The husband, out of concern for both (he assures me) my bare feet and the safety of the resident hedgehogs fastened a keyring to the back of a flashlight so it now lives on our key rack and can easily be grabbed as I rush by in one emergency or other. All’s well that ends well. This entry was posted in Charlie, Critters, Isla, Secret garden and tagged cats, flashlight, garden, hedgehogs, night, snails. Bookmark the permalink. I like the convenient flashlight! Yes, it has come in handy more than once! And it’s always good to know where things are, of course.